Single Loop Temperature Controllers 3200, 3300, 9300, 9400, 9500 (CAL Controls) - BG electric e.K. The CAL 3200 1/32DIN temperature controller is designed to be easy-to-use and reliable within the most demanding process and manufacturing applications. Designed for industrial or scientific applications CAL3200 has an impact resistant smoked fascia with large rubberised buttons with positive feedback. PID tuning is simple and efficient whilst the unique dAC function minimises overshoot. Removable terminal block for easy wiring. The CAL 3300 1/32DIN temperature controller is designed to be easy-to-use and reliable within the most demanding process and manufacturing applications. Designed for industrial or scientific applications CAL3300 has an impact resistant smoked fascia with rubberised buttons with positive feedback. PID tuning is simple and efficient whilst the unique dAC function minimises overshoot. The CAL 9300 1/16DIN temperature controller is designed to be easy-to-use and reliable within the most demanding process and manufacturing applications. Designed for industrial or scientific applications CAL9300 has an impact resistant smoked fascia with rubberised buttons with positive feedback. PID tuning is simple and efficient whilst the unique dAC function minimises overshoot. 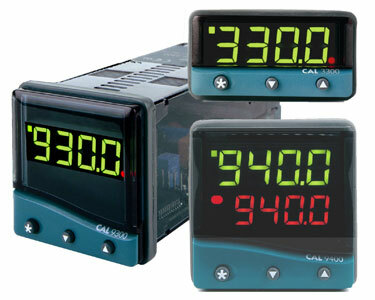 The CAL 9400 1/16DIN dual-display temperature controller is designed to be easy-to-use and reliable within the most demanding process and manufacturing applications. Designed for industrial or scientific applications CAL9400 has an impact resistant smoked fascia with rubberised buttons with positive feedback. PID tuning is simple and efficient whilst the unique DAC function minimises overshoot. 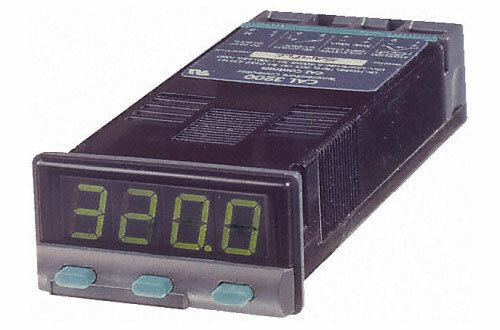 The CAL 9500P 1/16DIN temperature controller has a programmer function with up to 31 programs (126 segments max). It is designed to be easy-to-use and reliable within the most demanding process and manufacturing applications. Styled for laboratory or industrial applications CAL9500P has an impact resistant smoked fascia with rubberised buttons with positive feedback. PID tuning is simple and efficient whilst the unique dAC function minimises overshoot. The integrated programmer function is ideal for applications requiring temperature profile control.